Ed O’Hare oversees Elavon’s Corporate Development activities. He has over 15 years of experience in Mergers & Acquisitions, Alliance and Partnership development and general business development with financial institutions and other financial service companies. 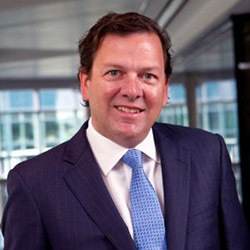 Prior to Elavon he had positions with MasterCard International, Smith Barney and National Data Company in roles relating to sales and servicing of financial institutions. He graduated from Villanova University with a bachelors of science in business administration and received an MBA from the Goizueta Business School at Emory University.